We were super excited when we heard that fete were launching a print magazine! All that lovely goodness in print version! How could we resist! 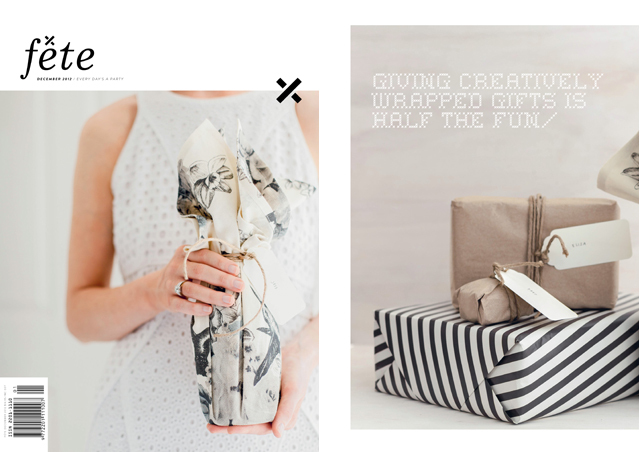 Find our lovely Charcoal Wrapping Paper in this devine magazine. Make sure to buy a copy here and help support Australian businesses.